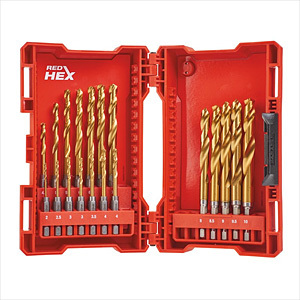 Impact rated drill bits with ¼˝ hex shank optimised for impact drivers. The Chip Breaker tip splits up the size of the material from the cutting edge and helps cooling down the material. The 135° tip angle reduces tip walking and allows a precise start. The flute design allows for a faster material ejection and decreases heat build up for more efficiency. The titanium coating dispenses heat. 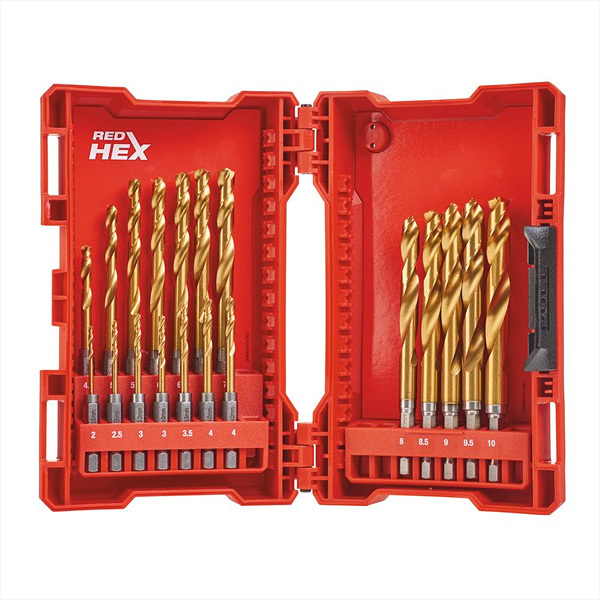 Higher versatility thanks to the ¼˝ hex shank which makes this drill bit suitable for impact and drill drivers.